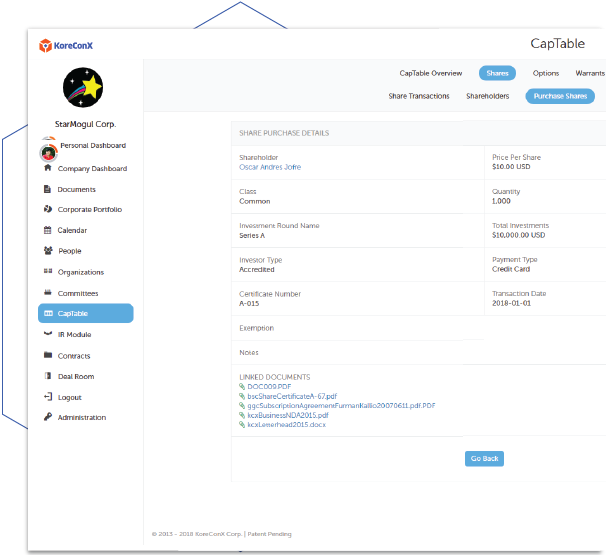 KoreConX CapTable Management Is a Convenient, All-Inclusive Audit-Defensible Solution. 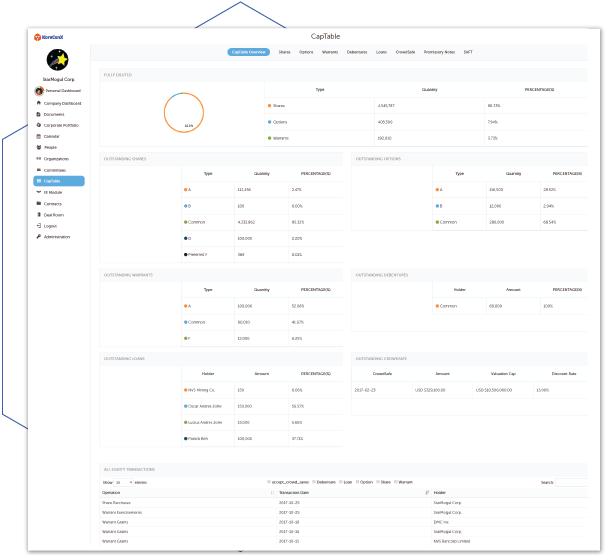 Harness regulatory, performance and investor data power from a centralized and secure platform, and demonstrate a standard of precision captable reporting and disclosure. Sidestep Excel and Let KoreConX CapTable Management Answer Investor Status Questions. Since every transaction occurs within KoreConX CapTable Management, the company investor status is always up-to-date. Explore a range of CapTable reports for scenario modeling, reconciliation and cap table analysis. Migrating or transferring sensitive data between applications introduces human error and confusion around what is the latest capitalization table report. Don’t force-feed charts and models into unsynchronized systems. Present metrics with integrity, worry-free of outdated information. KoreConX CapTable Management Supports Every Security Transaction Type. Encourage shareholder transparency with an exhaustive inventory of every security companies may issue — equity, preferred stock, security tokens, debt, SAFE, RSUs, restricted stock awards, promissory notes, debentures, options, warrants and valuations. Every transaction companies make within KoreConX the ledger is updated, the transaction is verified by the investor and the investment is executed. Companies Who Demonstrate Proactive Compliance Enlist a Complete CapTable Book of Records Through KoreConX. Stakeholders need to understand all of a company’s records—regardless of its stage in the business lifecycle. Fundraising, merger, acquisition, public transaction or exit--everything must be available. Meeting regulatory standards yields shorter transaction times and expedites due-diligence. 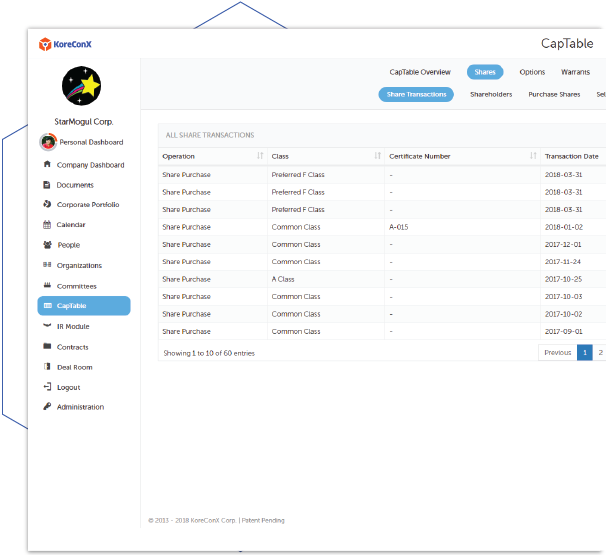 The CapTable feature provides audit trails and other frameworks for near-automatic completion of requirements. Douglas Ellenoff, Partner at Ellenoff Grossman & Schole, LLP. KoreConX’s compliance feature allows broker dealers to manage their due diligence requirements from issuers including full transparency on the entire application, review and listing (if subscribed to KoreConX Capital Markets), and includes reporting. 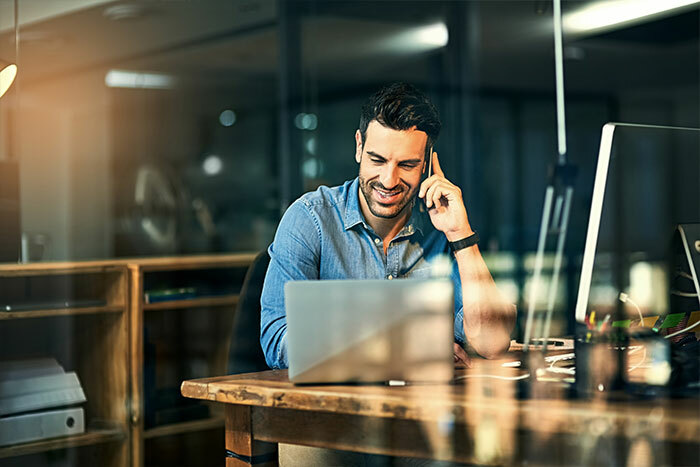 Perform all your know your client (KYC), anti-money laundering, ID verification, suitability through our Compliance feature and even track online payments. Client reporting functionality (monthly, quarterly, annual) is also built in. Keep your broker dealer audit ready and organized at all times. For issuers, manage compliance with regulatory reporting, while maintaining good governance and transparency.